Does Bernie Sanders know what Hillary Clinton and Barack Obama did to Honduras? Does he care? Last week saw yet another savage murder of a Honduran activist for democracy — one of hundreds such atrocities since Clinton and Obama blessed a brutal oligarchical coup there in 2009. But Sanders said nothing — says nothing — about this damning legacy of his opponent. It’s an extraordinary omission by someone presenting himself as an alternative to the failed elitist policies of the past. The only Sanders reference to Honduras that I’ve been able to find is some justified criticism of the draconian treatment of Honduran refugees by the Obama-Clinton team. But he never tied this back to why there has been a flood of Hondurans fleeing their country — most of them children, sent on a perilous journey by desperate parents hoping to save them from the hellish conditions wrought by the coup. Political repression and rampant gangsterism — including the abandonment of broad swathes of society to the ravages of poverty and gangs — have driven the nation to its knees. Last week’s murder of indigenous activist Berta Cáceres is but the latest bitter fruit of the Obama-Clinton betrayal of democracy. Clinton — with a heart as hard as that most adamantine of all elements, neoconium — obviously doesn’t care. (Although at least she has refrained from looking on the latest murder and crying, « We came, we couped, she died! ») One assumes that Sanders, who over the years has opposed various American depredations in Latin America, might not be so sanguine. But as of this writing, a week has passed since Cáceres’s murder without comment from Sanders. However, his Senate colleague from Vermont, Patrick Leahy, did condemn the killing — and the wasteful, land-grab dam project that Cáceres opposed. Perhaps now that Leahy has provided some Establishment cover, Sanders could bestir himself for a word or two on the Cáceres case. But the reticence to attack Clinton on the substance — and the essence and the goals — of American foreign policy is very much a hallmark of the Sanders campaign. For example,his only word about the American-backed campaign of slaughter, ruin and starvation being conducted by the Saudis against Yemen has been a lament that the Saudis are wasting good ammo in Yemen when they should be « getting their hands dirty » against ISIS in Iraq and Syria. Yes, apparently the proper « democratic socialist » position is that the world needs more violent intervention by the greatest purveyors of Islamic extremism in the world. We need more killing — and more military expansion — by one of the most repressive regimes on the face of the planet. This is where the « progressive left » is at these days. 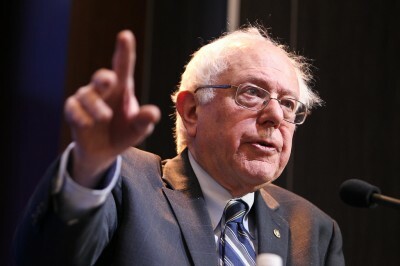 Although Sanders claims to seek a more democratic government and hopes to remove the influence of money from politics, Riches said he avoids talking much about this complex topic because doing so would involve admitting how much the U.S. national economy depends on a massive military and endless foreign wars. “Doing the right thing would require a complete abdication of America’s self-assigned role as master of the global order, and this would also entail a re-imagining of the domestic economy,” Riches noted. There will be no « revolution » — there will not even be any genuine reform, beyond mild tinkering at the margins — without such an abdication and re-imagining. But this is not on offer from any of the « major candidates » now vying to be the temporary manager of the corrupt and violent American imperium, including Sanders. Meanwhile, the horror in Honduras goes on. As so often over the years, John Perry of the London Review of Books provides excellent background on the situation there. He notes that the Cáceres murder is part of an American-backed ethos that puts « business » before any and all other concerns — community, environment, individual human lives. After the 2009 military coup, Honduras was declared open for business. Utopian projects for charter cities to bring in foreign entrepreneurs are still on the drawing board, but Honduras’s mineral resources have already attracted investors. To serve hundreds of new mines, 47 new hydroelectric projects were given the go ahead two months after the coup, overriding the legal protection for indigenous lands. One of them, Agua Zarca on the Gualcarque River, with dams generating 22 megawatts of electricity, would destroy Lenca farmland and villages. The Lenca community of Rio Blanco and the Council of Indigenous Peoples of Honduras (COPINH), co-founded by Cáceres, were determined to stop the dams being built. They blocked the access road for construction traffic for a whole year in 2013, eventually forcing the Chinese firm Sinohydro to give up its contract. The World Bank also withdrew funding. The community seemed to have won, at the cost of activists being killed or injured by soldiers guarding the construction site. Then last July, DESA, the local firm that holds the concession to dam the river, decided to go ahead by itself. A new phase of struggle began, with peaceful protests met by violent repression and bulldozers demolishing settlements in the valley. Threats against the leaders, and Cáceres in particular, increased. She was granted special protective measures by the Inter-American Commission for Human Rights, but the Honduran government never properly implemented them. So just two months after the coup, 47 dam projects got the green light, to serve hundreds of new mines. Yet Hillary’s defenders (you can read their obsequious offerings by the yard at Daily Kos) now tell us that she and Obama only supported the ouster and exile of the democratically elected Honduran president in 2009 in order to « prevent a civil war » in the country. It was pure altruism, on the level of high statecraft. It had nothing to do with, say, grubby business interests and powerful investors (including the not-at-all Washington-connected World Bank) needing a « green light » to move the pesky redskins off their land and gut the earth for more extraction profiteering. Such considerations did not enter into the mix at all. In other words: let the dead bury the dead — and let the rich and powerful reap their rewards.